Ubisoft have always had a reasonably good relationship with Nintendo. The surprising masterpiece that is Mario + Rabbids: Kingdom Battle. The integration of Starfox in Starlink: Battle For Atlas are just two fine examples of the unison of both companies. In Assassin’s Creed Odyssey, there is an Easter Egg that gives a nod to one of Nintendo’s most beloved series. Ubisoft is no stranger to adding Easter Eggs to their games. Normally it is references to their own games like Watch_Dogs in Assassin’s Creed IV: Black Flag and vice versa. This time however, Ubisoft has branched out of their own franchises and have chosen to include The Legend Of Zelda: Breath Of The Wild. it was Kotaku that found the little easter egg. It is a nod to the Koroks and the circular rock puzzles in Zelda: BOTW. By travelling to Pandora’s Cove in Malis, there is a little area on top of the outcrop. It is here where the little rock circles and a Korok figure can be found. My brother and I have been wanting an Assassin’s Creed X Legend Of Zelda crossover for ages. It may seem farfetched but if Ubisoft are not afraid to add Zelda Easter Eggs in there games, perhaps we could get a “Hylian Creed” at some point after all? 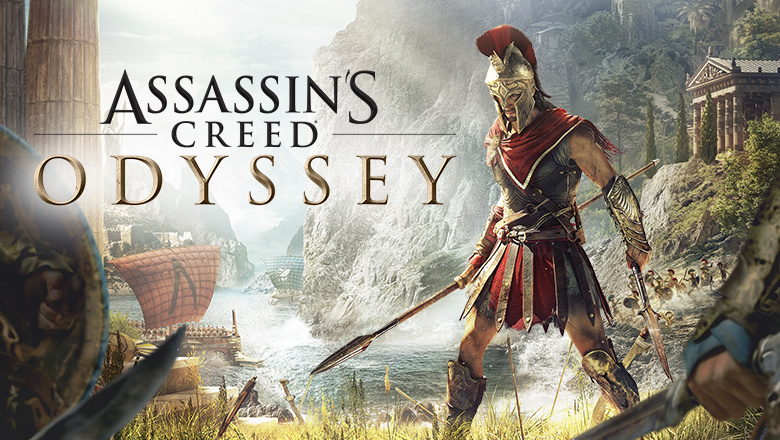 On another note, Assassin’s Creed Odyssey is coming to the Nintendo Switch in Japan as a Stream only game. It is kind of odd of Ubisoft to do that. Perhaps they are taking a leaf out of Capcom’s book with Resident Evil 7 which was also streamed in Japan. Whether Assassin’s Creed Odyssey will release on the Nintendo Switch in the West, is yet to be seen.